Dr. Seema is Associate Professor in the Department of English, Awadh Girls’ Degree College, Lucknow. She has a great enthusiasm for Ecocriticism. 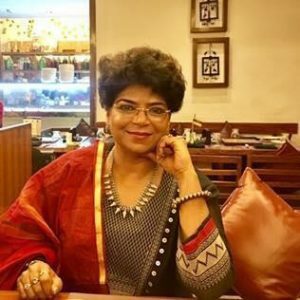 She has edited one literary journal in English and currently she is Associate Editor for two reputed UGC approved journals. She is the Vice-President of the Educational Cell of Bharat Raksha Dal Trust. She is also the Joint Secretary of FSLE-India for its Uttar Pradesh Central Region. She is among the ones who joined FSLE-India as its founder members and the first Joint Secretary of any Indian States. Her major area of concern incorporates with the LEGH issues.